Scene depicting casualties during World War II. 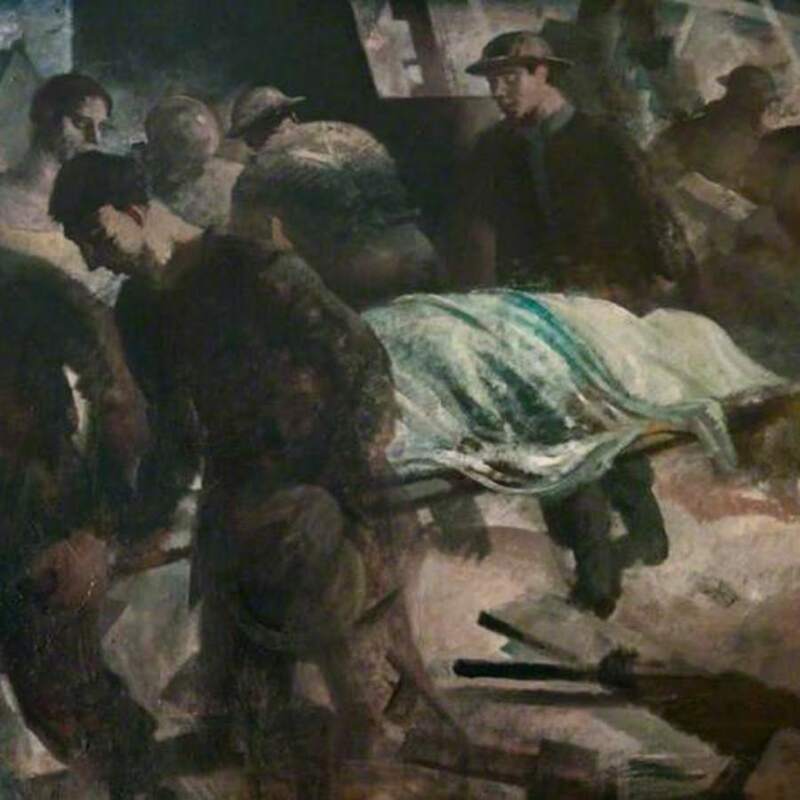 Crawford; Hugh Adam (1898-1982); Artist, RSA, “Tribute to Clydebank (The Stretcher Bearers),” Heritage, accessed April 23, 2019, https://heritage.rcpsg.ac.uk/items/show/370. 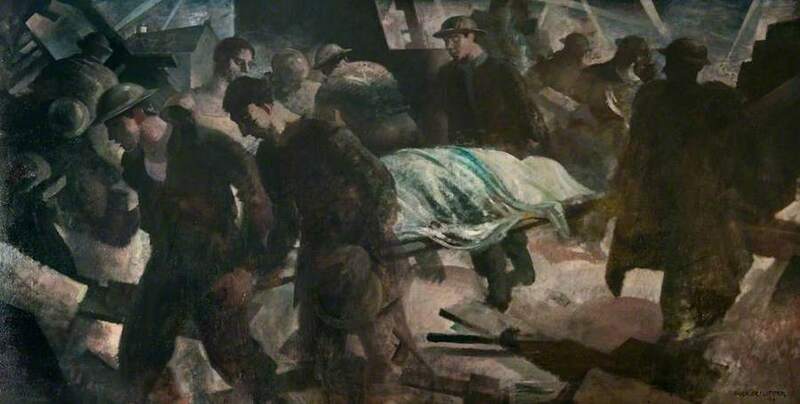 Description: Scene depicting casualties during World War II.